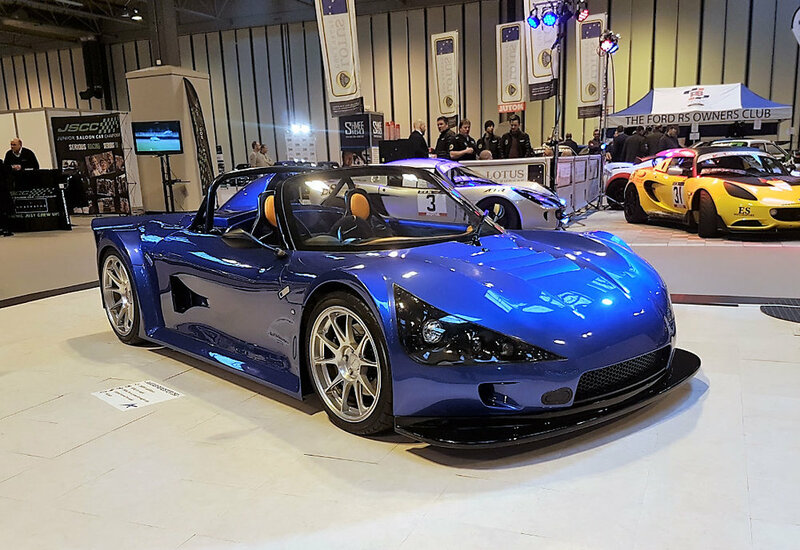 After unveiling a prototype last year, British sports car company Avatar has revealed its first road-ready production car at the 2017 Performance Car Show. Now fully certified, the Devon-based firm has developed the prototype, making over 100 refinements to offer a 250bhp sports car which it claims is now ‘equally at home on road or track’. The 695kg Avatar retains the Ford Ecoboost engine, Nitron dampers and Rota wheels, helping deliver 0-60mph in four seconds and a top speed of 145mph. Adding a leather interior and heated screen together with other features to broaden its appeal, new no-cost options also include an Apple CarPlay + Android Auto audio system, the roof, heater and air conditioning. Avatar is also offering a 2.3-litre, 350bhp option that sees 0-60 mph times cut to 3.6 seconds with the Ford Focus RS-engined derivative using a six-speed transaxle. Drivers seeking a more frenetic shifting experience can opt for a paddle-shift operated seven-speed sequential Quaife gearbox. The car’s bespoke laser-cut spaceframe chassis and composite bodywork is retained, alongside the offset driving position that improves weight distribution. The option for a pure track experience hasn’t been forgotten, says the company, with a full roll cage, plumbed-in extinguisher, foam-filled tank, data logger, GoPro HD camera kit and rear wing still available if desired. “With these additions the car is eligible for a considerable number of club championships whilst still be road legal,” added Popovic. The company aims to be ‘focused on delivering a personal service’ to ensure each customer receives a vehicle that meets the most exacting requirements, with founder Terry Matthews behind this level of customer service. He has over three decades of experience developing bespoke vehicles at sister sports car manufacturer Marlin and said: “We produce and set up every car so the way it performs and handles meets each individual’s requirements". Avatar’s sister company Marlin is manufacturing the production models, of which no more than 50 will be built. The new car comes with an unlimited mileage, three-year warranty and the reassurance the Ford engine can be serviced at any Ford dealer. Production begins in the Spring with prices starting at £39,990.